The 2015/16 campaign was plagued by further injury problems that limited him to only 13 senior games. This thread won't reach 5 pages. I'm hoping Jose can get the best out of him, really feel like he's on his last chance with TFM & Tuanzebe coming through. The "Phil Jones injured" tweets alone cover five pages. What a player.. He plays poker with the physio´s like he´s boss..
Can't believe he's still only 24! Always forget how young he was when we signed him. Such high hopes for him at the time. Definitely a smart move going in to the season relying on him as first choice, can't see that backfiring at all. Imagine if he takes more corners this season than pages in this thread. Could have been practicing all summer. Young enough that he shouldn't be written off. Mourinho's record at keeping players fit is seriously impressive. If he can work his magic on Jones/Smalling they could be a quality partnership who will only get better over the next several years. 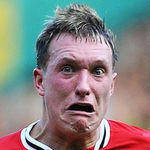 All coaches want to make Phil Jones their first choice in pre-season until he fractures anything or everything during an average poop session. Had really, really high hopes for him and Smalling as a partnership. Part of me is really pleased that Jose seems to have given the pair first choice assurances. Besides, we always have Bailly to cover for the inevitable injury. Now Smalling has really developed, he can perhaps help Jones out a little, who I did think was the much better of the two at first. Also, don't underestimate the impact Faria can have on teams, shown by Mourinho's excellent track record with injuries. Sometimes I feel like one of very of the few who really rate Jones it seems, I do really hope he can find consistency with his body and become a regular in the 11 again. Smalling made 55 starts last season, he's fine fitness wise. He'll need some serious voodoo-like magic to work Jones over though. If JM do his blood voodoo thing and Jones stays fit,i wouldnt move him away,think injury free he would be more then decent for us. Either Mourinho will change him or he'll be out the door. If he'll survive pre-season then it's already a progress but after that he needs to improve his decision making. Long way out of hell. Needs an injury free season under his belt to change fans perception of him. Make no mistake. The rest of the league will be delighted to hear we're going to use him as first choice. Don't even pretend otherwise. I suppose that's true, but I have this totally non-scientific inkling that he's more of a Costa type case than one who will grow out of his injuries like Smalling, and will continue to accumulate the 'niggling knocks' all season. Let's hope that isn't the case though! If Mourinho can work magic with his injuries then I have no doubt he can turn into a good player. Didnt play at all last season, but the year before generaply played quite well. Was great when fit under Fergie and did well under Moyes. Fitness always the issue, so we will see what happens. I have always had some hope for him to still come good so lets home Mourinho can get him to stay fit and fulfill the early potential he had. When he signes I thought he'd be world class. Who knows. Maybe his injuries end? Very good point. I think Smalling's had about two relatively injury free seasons now? Unthinkable a while back and there is not reason why Jones can't turn it around too. I trust Mourinho defensively so if he's happy with a Smalling/Jones partnership then that's fair enough. Unless his medical staff are miracle workers though, the partnership won't last too long. Hopefully Bailly adapts quickly so we're not left exposed if/when the injuries do keep coming. Injuries, decision making and technical ability. The 3 big question marks that will need to be answered for him to be a key player here. No doubt his injuries have hurt him immensely, but there is a difference between injured and no good, I feel that due to his injuries it seems people have forgotten how good of a player he was. I would agree with Jose that on available defenders he and Smalling are clearly first choice for mine if and when fully fit. I have not seen Bailly so I can't say he is clearly better than Jones. That's fair and lets hope he has a run of good luck to give himself some confidence in his body. I feel his style of play where he throws his body in all sorts of situations causes some of his injury problems. What was the deal with him towards the tail end of last season? I don't watch U21 matches, but just from skimming reports it seemed like he was playing there regularly for a couple of months, without being able to step up back to the first team, or have I completely misread? Hopefully that's the end of any notions of him starting for us. Its like Christmas for Aubameyang. One of those players whose reputation grows when he's injured. Headless chicken. 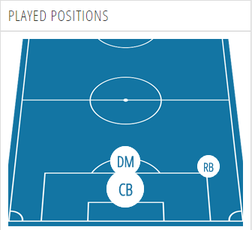 Cannot defend for toffee and has no positional sense whatsoever. I'm surprised he's lasted here as long as he has. Never wanted him but he started well for us. Since then, it's been downhill with a horrible injury record and lack of form. Reminds me of Anderson, in that he is taking up the position of a potential signing and is stealing a living at the club. Not much of a barometer to go by. I would rather we didn't have either. 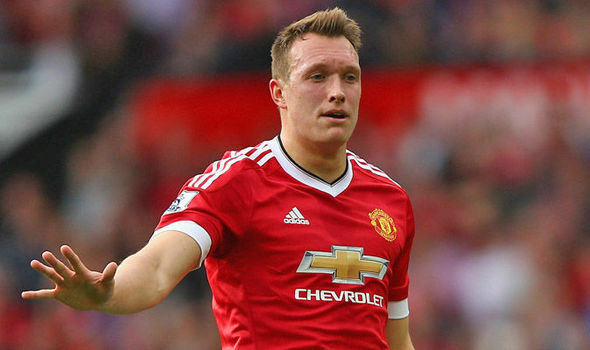 Would keep Jones ahead of Rojo, though.